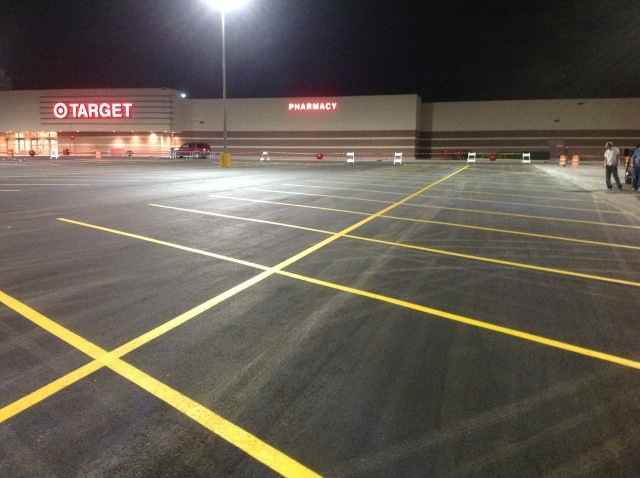 Asphalt has some serious benefits, including being friendly to your pocketbook, durability, and wonderful aesthetics. Like any other material, though, it may experience damage over the course of time. At that point, you can either watch it crumble or repair it immediately. With asphalt paving, the key to quality repair job is to decide whether you need a quick fix or you need a more serious repair. If you have one small crack, it’s probably a quick repair job. If you have lots of small cracks, sometimes called alligator cracks or extensive potholes, you may need to do something a bit more serious. Here’s an overview of the most common problems. Small cracks are definitely going to happen. These are cracks that are less than a half inch wide. They need to be treated, but can probably be handled by anyone willing to take the time to put in some filler. Alligator cracks are a series of several small cracks grouped together. These cracks look similar to that of the back of an alligator, hence the name alligator cracks. These cracks, if left untreated, can turn quickly into a pothole. Potholes are when there are pieces or chunks of asphalt completely missing. These could have started out as alligator cracks, but might also be a result of weathering. Either way, there really isn’t a quick fix to potholes. The “quick fixes” that are advertised don’t last very long. So, you’re better off having potholes properly treated. If they are small, you might be able to fix them yourself. A sinkhole is a depression in the asphalt. Sinkholes are typically created when the ground settles after the asphalt was poured. This is another problem to which there is no “quick fix”. Rather, you need someone to professionally treat such an issue. Prep: Prepare your driveway by removing dirt and dust either by sweeping it away with a professional grade broom, washing it with a power washer or blowing with a leaf blower. Then remove any vegetation that is growing up through the cracks. Repair: Purchase the patching materials you need. Asphalt repair aggregate, flame torch, pothole tamper, and vibrating plat compactor are what you’ll need for small pot holes. Alligator patch material, and a squeegee or asphalt brush are the materials you will need for minor alligator cracks. Then, make your repairs. If you have more extensive problems, though, it’s best not to handle those problems on your own. Instead, contacting a professional team to help is an absolute must, otherwise your problems could go from fairly minor to very serious in no time at all, lowering the value of your home or property. Even if you had never thought of flooding before, the number of devastating natural disasters in recent years has likely caused you to pay some heed to the possibility of water damage in your home at some unknown point in time. In order to prevent sewage backup during high water and floods, it is important to plug those areas where it might rise. It is when water rises above drains, toilets, sinks and tubs that sewage backup is most likely to occur. As water overwhelms the city- or town’s sewage system, pressure builds, and your drains are likely to be a release unless they are properly stopped. It is bad enough to be suddenly seeking water damage repair service in Watsonville, CA; you don’t want to have to contend with sewage in your home as well. Basement Drains Fortunately, those in the construction community have recognized the importance of stopping sewage drains incase of flooding and have installed special stop valves in new homes. These are referred to as back flow check valves. However, even this doesn’t alleviate all of the responsibility of the homeowner. Those valves should be checked regularly to ensure proper sealing and to inspect for cracks or breaks. The owners of older homes will have to stop their own basement drains. It is important to think in advance about such matters. While you won’t want to leave the drain plugged constantly, you should have a plug, which fits the drain properly, on hand at all times. Chances are it will be too late to purchase a plug when the flood warnings have been issued. They sell quickly and each drain requires different sizes of plugs and different installation types. Some drains will be difficult to plug because of their proximity as well, which might call for inventive- and slightly time consuming solution. This is another reason to do these things ahead of time. Shower Drains These will also have to be plugged in times of high water or flood situations. They obviously can’t be plugged all of the time, but again you should have materials in advance. The action you take regarding shower drains will depend on what type of shower or tub you have. Some built in drain plugs may be enough, if they can be braced in some way. That is not always easily accomplished however, so they are generally removable. This allows the homeowner to purchase and install a better back flow plug. The overflow drains found in many tubs can also be an issue if there is a threat of sewage back up. 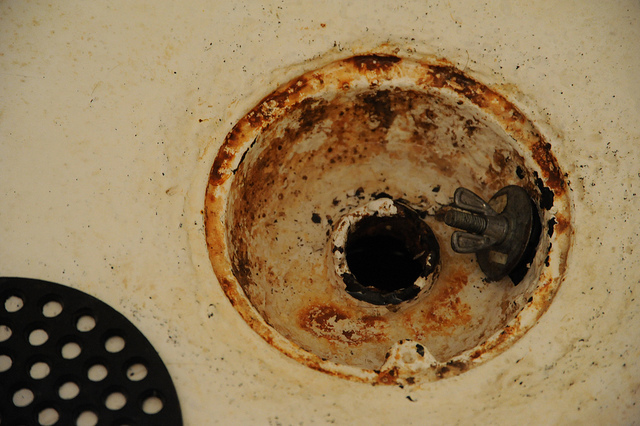 Generally, it is possible for one to unscrew the drain cover and buy a plug that screws or bolts in its place. This will provide a proper seal. Sinks While you are out purchasing the other plugs mentioned above, do not overlook the need for sealers in your household sinks. Rather than fuss with the drain and the overflow drain, sinks can be plugged by loosening and removing the under-the-sink PVC plumbing and sealing the drain pipe coming in from the wall or floor. Toilets Finally, you will need to shut off the water to the toilet and flush it in order to ensure it is emptied. Plugging the toilet drain is slightly more difficult. However, taking the time to do so can save you the need for Sewer Damage Cleanup for your Santa Cruz, CA home. So, once the water is off and the toilet is empty, unbolt it from the floor. Once it is no longer secured in place, you can lift the toilet to view the drain. Before sealing, you must clean off the wax and buy a plug to fit the drain. This will be placed in the large drain pipe and tightened in place. Once this is complete, you have done your part to protect your home from sewage backup. Don’t forget when the waters have receded again that you will need a new wax ring to reinstall your toilet. While it isn’t likely that you will see these frozen beauties hanging from your Houston or Pasadena home, icicles grow in great numbers up north. They are certainly stunning to behold, but they can actually indicate a big problem that is just as likely to plague Southerners. So, if you have ever wondered about icicles, then you should continue reading to find out what they tell a person about the house they dangle from. Though crystal clear and a spectacle to behold, icicles should also be perceived as a red flag for homeowners. 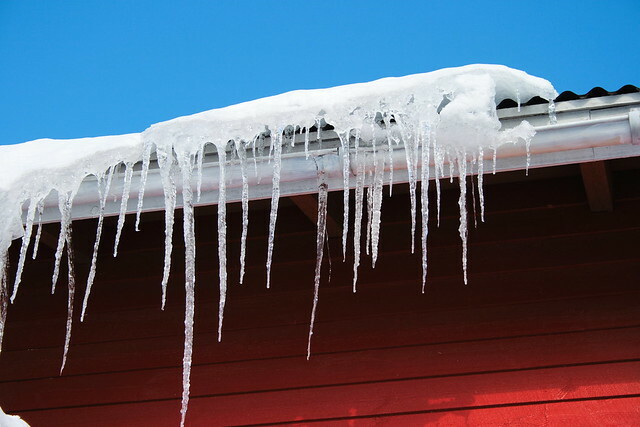 Again, this is not something you are likely to see around your eaves and gutters, but that is not to say that your Houston home is invincible to the problem the icicles would point to. In order to better understand this, you must grasp how icicles are formed. In the north, the air grows quite cold for a good portion of the year. When this occurs, there is a definite imbalance between the outdoor temperature and that within in the house. Heat, as always, will rise within the home as it is expelled from radiators, fire places, or wood stoves, for instance, and slowly make its way to the highest point indoors. Heat will continue to rise unless it beats some impenetrable barrier. The attic is often where the hottest air in the home accumulates. If the attic is not well insulated, then there is very little prevent that heat from escape via the roof. As the heat warms the rafters, the sub-roofing, and finally the shingles atop, any snow that rests there begins to melt. Taking the form of water, it will undoubtedly begin a downward slide toward the ground, but before it can reach land, it meets cold air again. As soon as it leaves the surface of the roof, where the heat is gathering, it touches the bitter cold and refreezes. As more and more melted snow follows this path, the icicles grow in length and size. It becomes an even greater danger when the ice forms before clearing the edge of the roof. This forms what is known as an ice dam that prevents rain water and melting snow from falling. The accumulation of weight can put a great deal of undue stress on the roof and structure beneath. One can imagine the potential dangers. The experts at http://www.houstonroofingcontractors.co/ remind Texas homeowners that Houston roofing might not see a lot of risk of ice damming or of icicle formation, but it can be the escape point for heat during the cooler months of the year. Furthermore, poor attic insulation can allow heat in, as well. When the dark colored shingles absorb the sun’s rays and there is no barrier to prevent its access to the house, the attic can reach unbearable temperatures. This also prevents the hot air within the home from rising into that area overhead, which means that more air conditioning is required to keep the home at a comfortable temperature. Proper insulation and ventilation provide a more stable environment in the attic, and therefore, in the home as well. Some affordable Houston roofing solutions can further improve the insulation between the outdoor elements and those beneath, so it may be a good idea to speak to your local roofers. Sugar Land, Texas experts can help you to evaluate the situation in your own attic and at roof level to determine what, if anything, should be done to improve the energy efficiency of your home. For many centuries, homeowners have embraced the warmth, beauty, and strength Spanish tiles lend to a rooftop. They create a truly spectacular curb appeal for the right home and have proven very effective for encouraging proper ventilation, but also keeping the interior of the home clean and dry. The greatest part about clay tiles is the fact that they can last for a century or longer without needing to be replaced. However, there are times when one wants to have them removed, must have an area of the roof repaired, or inherits an old home with the original roof. 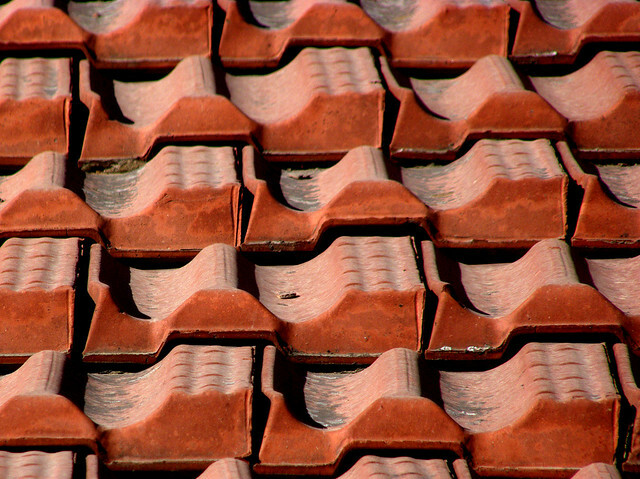 When clay tiles must be removed, there is the hope that they can be recycled to preserve the environment. Unfortunately, it is not easy to have clay tiles recycled in the conventional manner of speaking. They are considered an eco-friendly form of roofing because they last so long, they provide good ventilation that reduces the energy consumption of the home, and because they are often made from recycled materials. But, what does one do with them once they are removed from a rooftop? While the local recycling center might not want anything to do with your old roofing, there are other ways to put the old tiles to use, rather than just trashing them. In fact, you don’t have to go far to find use for them – chances are that your local landscaper could find more than one place for them in your very own yard. Many people have found that old clay tiles, which are no longer ideal on the roof, are still in good enough shape for use in construction around the home. They can make a very beautiful and sturdy walkway or path. They can also be stacked in such a way that they make the perfect outdoor fireplace or grill pit. Because clay tiles aren’t flammable and can withstand very high temperatures, they are ideal in this setting. Clay can also serve as a greater border around gardens, shrubs, and trees. If you can’t find a use for them around your yard, ask around because others may be in a greater need. There are some dealers that specialize in the finding, restoring, and selling of vintage clay tiles. 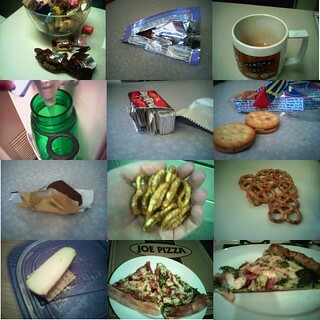 Your waste might be their treasure. A quick search on the internet or in the local yellow pages could produce the name and number of someone more than willing to remove your Spanish tiles for good reason. Even if you can’t find a way to reuse all of the tiles, you can at least minimize your waste by using a portion of them to roof a garden shed or small barn on your property. Chances are that you can find enough of the tiles in good condition to do such a project, which means you get a roofing material for your outbuilding at no cost. Before you go ahead and strip your roof of the old clay tiles, be sure that you contact the local roofing repair company at www.dallasroofing.co. It may be possible to repair and restore your roof without replacing the gorgeous, vintage tiles. A proper cleaning and a few small repairs could revive the look that the house once loved. It is amazing how resilient this roofing material is and the inquiry could end up saving you thousands of dollars. To learn more, visit the experts at http://www.dallasroofing.co/arlington-texas-roofing/. Did you know that the human mouth is constantly teeming with bacteria? While much of this bacteria is the good sort — and useful in fighting of potentially evil intruders — the bad does lurk there as well. Though not present at birth, that bacteria quickly finds its way to a child’s mouth and, without proper care, the bad can soon overwhelm the good. Surely, you have seen evidence of this – children with fillings, caps, and other such dental treatments. The bacteria, which feed on the very same sugars that children adore – in the form of cookies and candies, but also milk and juice – they create an acidic byproduct that is responsible for causing decay. Day-To-Day Battle It’s not time to recruit a dentist in Batrop, TX to affix dental veneers, but you also don’t your child walking around with a mouth full of silver fillings and caps. Unfortunately, all too often dentists are forced to pull baby teeth, fill cavities and encase damaged teeth in an order to prevent the spread of bacterial infection through the mouths of children. That is why regular oral health care, such as brushing and flossing is essential when trying to beat the bad bacteria, even for the youngest children. Brushing can be made more entertaining for young children by integrating some other element. Singing toothbrushes, readily available today, are excellent for teaching children the necessary amount of time for cleaning teeth properly. However, you might consider making a game of the time spent on oral care. See who can build up the most foam in his mouth, who can hum the loudest while brushing, or who can open his mouth the widest. There are also other products on the market designed to help kids learn to love tooth care. Mouth rinses that highlight areas of plaque are excellent for educational and entertainment purposes. Kids will love seeing their mouths highlighted in blue, green, or red. Furthermore, spin brushes, toothpaste feature favorite cartoon characters, and neon floss sticks have proven very effective at winning children over. Eating and Drinking Wisely Even before a baby is old enough to start brushing, there are things that a parent can do to reduce the bacteria forming in the mouth. One of the most common things that parents do wrong in this regard is to put a child to bed with a bottle of milk. Though good for the body, and even the teeth, in many ways, milk does contain natural sugars upon which the bacteria feed. Over time, this habit can wreak serious havoc in the mouth and lead to major dental problems at a very early age. If the child needs the comfort of a bottle, it is recommended that water be substituted for the milk. If a cavity is detected between regularly scheduled dental visits, an appointment should be made right away. Most of the dentists in Bastrop, Texas have a website with more information on how to keep teeth clean and the mouth safe from dangerous infections. It should also provide operating hours and phone numbers, so you can call to schedule that needed appointment. Car maintenance is taxing enough, but there are some trips to Leonard’s Garage & Service Center that are more costly than the average auto repair. Fortunately, several of these troubles are preventable with regular maintenance. New Hybrid Battery The gas savings that come with buying a hybrid vehicle are undeniable, but don’t expect repairs to be cheap. Even with their growing popularity, hybrid cars are still only a very small percentage of the vehicles on the road and therefore parts are not as inexpensive to come by. The batteries of hybrid cars come equipped with a secondary charging unit called the integrate motor-assist battery. Both have to be changed together when one goes, which can cost a couple of thousand dollars. Hybrid Inverter Assembly Replacement If the battery repair wasn’t bad enough, when the inverter assembly, which is responsible for creating an alternating current from the direct current derived from the battery, needs to be replaced, the cost can be five grand or more. When it goes… it goes and there is little anyone can do to prevent an inverter problem. However, it isn’t overly common, which means that your eco-friendly purchase is still worthwhile. Injection Pump Replacement Moving away from the hybrid vehicle, there are all sorts of problems that can arise with more traditional cars, trucks, and vans. The injection pump is responsible for delivering fuel to the cylinders. Unfortunately, a clogged injection pump is common, especially for drivers who fail to change fuel filters regularly. It can cost as little as $200 or as much as $3000 (sometimes more) depending on the type of vehicle and how much labor is required to do the job. When looking at a thousand dollar project, the expense of changing the fuel filters doesn’t seem so bad. Camshaft Replacement The camshaft acts as the air control for the engine. It ensures that the air flow is adequate, but not excessive. When the oil is not changed often enough, a build-up can form on the valves of the camshaft and problems will arise. Trying to save money by postponing oil changes is a bad idea and those maintenance expenses will seem minor compared to the two grand you could shell out for a new camshaft. New Cylinder Head Assembly When misfires are allowed to happen repeatedly, it can cause increased temperatures at the cylinder head. Fortunately, there are warnings that this is occurring, but heading those warnings is essential as mechanical damage is imminent. The catalytic converter or cylinder will be damaged when temperatures continue to rise too high. The new cylinder head components can cost in the neighborhood of $3000 or more. Cylinder Repair At times, it’s not a single cylinder that is damaged. Repairs, necessitated by the ignored minor issues, such as misfires, can become very costly. When multiple cylinders fail due to excessive heat, parts and labor are expensive. You might expect to spend several thousand dollars. So, it is wise to consider the small efforts that prevent major issues such as this. If you are looking to create an unusual or exciting look in your new home or addition, then you may want to consider when glass can do for you. Not only are there all sorts of different sized and shaped windows on the market today, there are also a number of different glasses that can be used to fill those frames, providing both functionality and beauty. Colored Glass – When paired with clear glass in an entry door or around a large picture window, colored glass can be simply stunning. Depending on the color, it can also distort images within, for added privacy. Colored glass is created by adding oxides of metal to the molten glass, pouring and cooling. Nearly any color imaginable can be created today. Insulating Glass – While it may not change the look of a window, it certainly does improve functionality, which makes it worth mentioning. Many of the windows on the market today make used of insulating glass, which is generally seen in two- or three- panes with air pockets between them to reduce heat transfer between the outdoors and in. Many people will choose to invest in new window installation specifically to take advantage of insulating glass, as it can greatly reduce heating and cooling costs. Laminated Glass – Again, this has much more to do with functionality than it has to do with changing the look of a window. Nevertheless, laminated glass can be well worth the investment, as it too can greatly impact the heating and cooling bills that homeowners face. However, the interlayer sandwiched between two sheets of glass is not really there for energy efficiency. Laminated glass is more often selected for its ability to safeguard those within the home or commercial space. The interlayer keeps the glass fused together even after it has broken, which means that it won’t shatter and it won’t provide easy access for intruders. Whether living in The Woodlands or the worst neighborhood in the United States, safety is always a worthwhile concern. Obscure Glass – An all-encompassing term, obscure glass comes in many forms, but the purpose is always the same; obscure glass lets light pass while protecting your privacy within the home. Reflective and Low-E Glass – Both of these materials are meant to reduce glare from the sun. Reflective glass directs the rays of the sun away from the home, keeping the temperature of the home tolerable in the summer months. It also makes it more difficult to see into the home from the outside. Low-E glass on the other hand is treated to filter specific rays, keeping them out of the home. Those UV rays are the same that would fade fabrics, paintings and other materials in the home. This also reduces the amount of heat entering the home, which can be a very good thing in areas like Jersey Village, TX. Stained Glass – We all know what stained glass is. The colored glass is cut, pieced, and soldered to create beautiful, stunning images. The great part is that this glass, which was once reserved for public arenas, can now be enjoyed in the home at a much smaller price tage. Tempered Glass – Should a window with tempered glass break, the tiny pieces that result are highly unlikely to cause any significant harm to people nearby, which is exactly why it is used as a safety precaution. Better yet, the chances of a break are much smaller than with regular glass, so it may be a good choice in your home. Why Would A Metal Roof Leak? There are many different types of metal roofs available on the market today for the customer to choose from. The most common is the steel roof, which ranges in size from 22 to 16 gauge thicknesses. There are copper roofing systems, aluminum, zinc and terne. Copper, being the most expensive choice, is the most durable to corrosion and can last for hundreds of years. The more exotic materials like zinc and terne are newer to the market and offer environmental benefits, such as the ability to capture the water runoff for potable water applications. Regardless of the material chose, all metal roofs can start to leak over time and here are some of the causes. Corrosion, mud sealing, improper installation, and wrong application can all cause a metal roof to develop a leak. Corrosion is probably the number one cause of a having a leaky metal roof. Corrosion happens when salts and other chemicals in the rain start to eat away at the metal causing small holes and cracks to form allowing water to protrude into those holes and cracks causing a leak. Professionals in Round Rock roofing can easily identify the problem by performing a roof inspection and repairing the areas of corrosion with new materials available on market. Mud seals are one of the major causes for metal roof leakage. 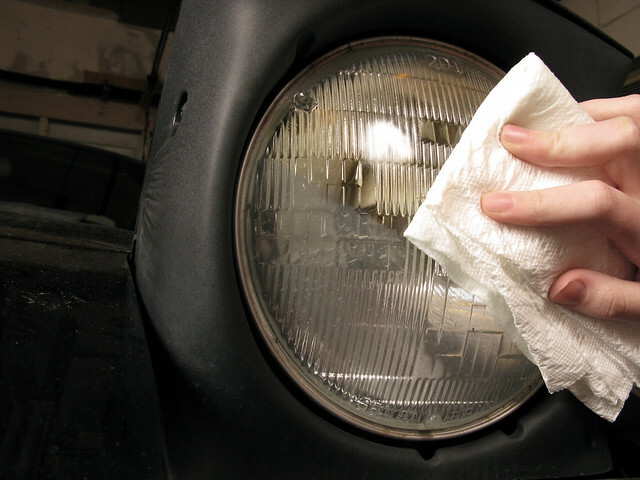 Areas, like Austin, Texas, that have high dust levels and heavy rainfalls are more susceptible to mud seal issues. Throughout the year, dirt and grime build up on the metal roof and rain washes this dirt off but leaves behind small portions of dirt in the seams of the metal roof. Over time this dirt begins to work its way under the seam and causes an area where water can penetrate the seam and result in more damage. Once this dirt has accumulated under the seams it is very difficult to pinpoint exactly where the leak is originating from. It may be best, at this point to call in a roofing contractor. Pflugerville, Texas, has a lot of well trained professionals that can help with this issue. They can sometimes use passive methods to fix the leak or may have to replace panels. Other causes of leaks could be from improper installation. If the installer did not line the seams up correctly when installing the roof, or used different metal fasteners during the installation could cause roof leaks. During the initial installation of the metal roof, if the installer used steal fasteners on a copper roof or aluminum roof than there could be an issue with electrolysis, and erosion. Basically the two different metals have different polarities and act as a battery, one being slightly more negative or positive than the other. The outcome; because of the chemical reaction, the area around the fastener could be eroded away from the process and a leak could occur on every fastener on the roof. Not aligning the seams properly can also cause premature leaks on a metal roof allowing rain and dirt to penetrate the seam causing water problems. An Austin maid is the perfect way to make sure your home or business cleaning is done well week after week. In fact, when you’re talking about a housekeeper service Austin residents agree that maids are one of the most stress-relieving professionals you can hire in your home. Choosing to hire a cleaning service can help free up your time so you can focus on other things. In some cases, though, you may not always trust your cleaning service, and if you suspect your maid or service has stolen some of your belongings, any benefit you gain from the cleaning itself will quickly evaporate. There are always risks when you’re talking about home or office cleaners Austin crime statistics alone will tell you that, and that can be especially true if that person is alone and unsupervised, as is often the case with residential and commercial cleaning services. If you are suspicious that your housekeeper has stolen something, even during a move out cleaning or a move in cleaning, there are a few things you can do. Proof is absolutely necessary in these cases. Even if you’ve spotted some things missing here and there, you still don’t have enough proof to accuse someone of theft. Whether you choose to set up surveillance cameras in your home or come up with another way to provide proof like setting up a bit of a trap, you’ll need something solid to move forward on. The most common way to set up bait is to leave cash out. Make certain you know exactly how much money is there and that you don’t leave it in a conspicuous place. Then find out what happens carefully after your cleaning staff has been in. Once you have the proof in your hands, there are two different things you can do, depending on the type of maid service you have. First, if you’re using an independent individual, you should probably go to the police. Let them know what you found out and how you discovered it. If, instead, you are working with a cleaning agency or an entire company, you can contact them directly. They likely have insurance and bonding to help protect you in this kind of situation. While you’ll still probably go to the police with your evidence in the end, starting with the company may actually be easier in the long run. If you do have to contact the police, make certain you know your maid’s full name. It would also help if you had that person’s address. You’ll likely need those things to file your taxes at the end of the year anyway, so having them on file right away is a good place to start.If you ever discover missing items in your home, make sure you begin to keep a record of what’s missing right away. That can help you understand more about what has been taken, and it gives you a bit more proof if you ever have to turn things over to the police. Choosing Austin’s maid service that everyone respects and reviews well at the outset will help you avoid problems like this from the start.